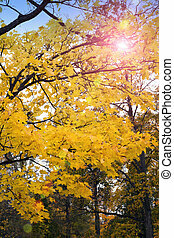 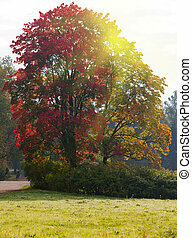 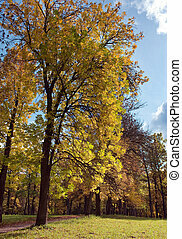 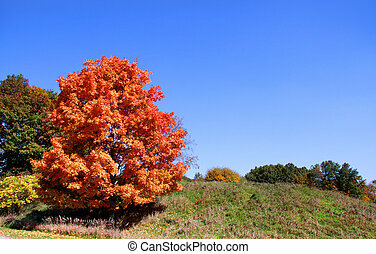 Bright autumn tree. 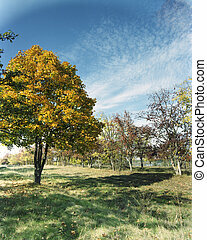 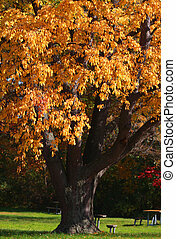 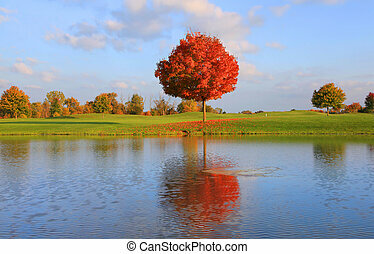 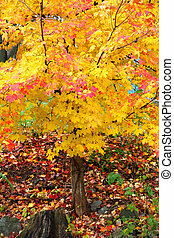 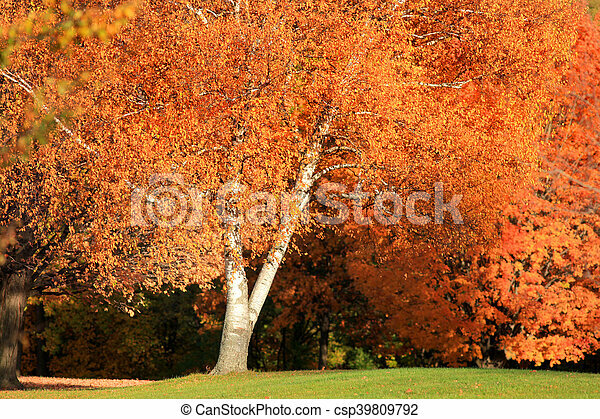 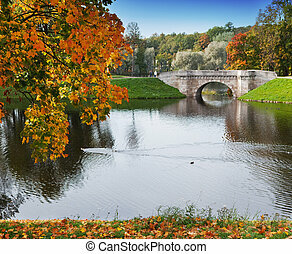 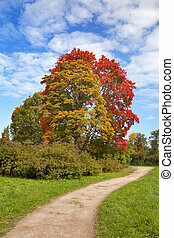 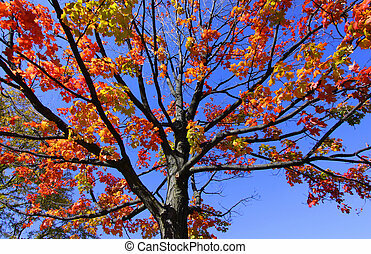 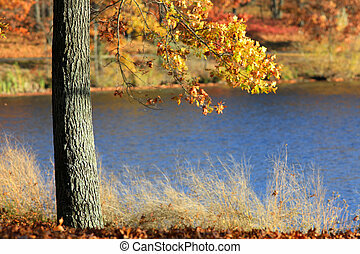 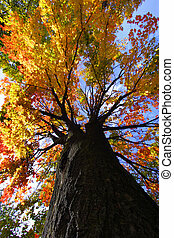 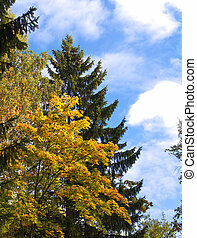 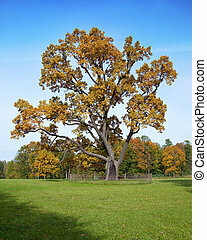 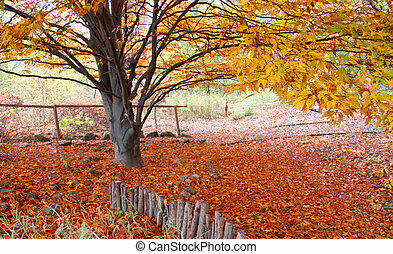 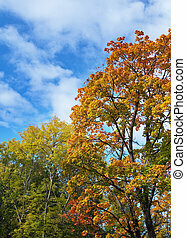 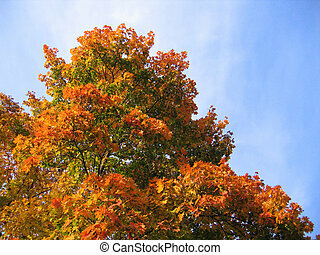 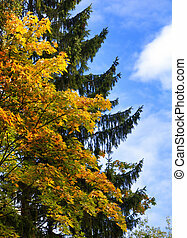 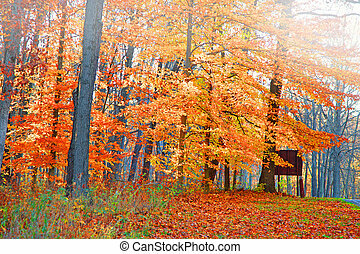 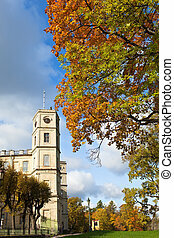 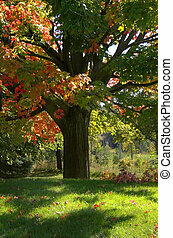 Bright orange leaves in autumn tree. 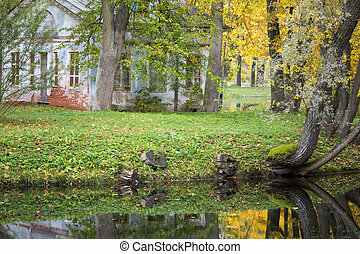 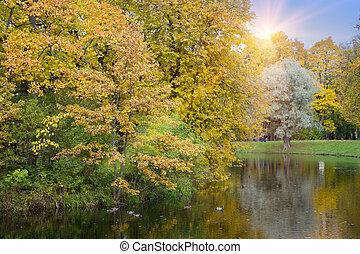 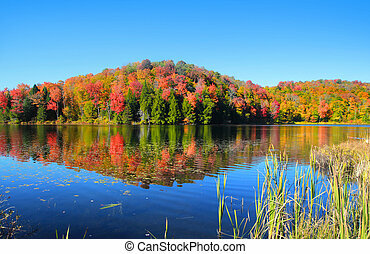 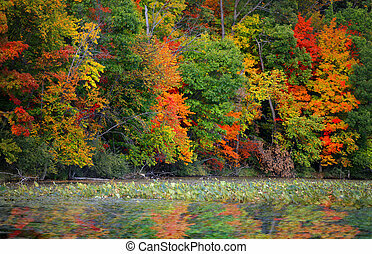 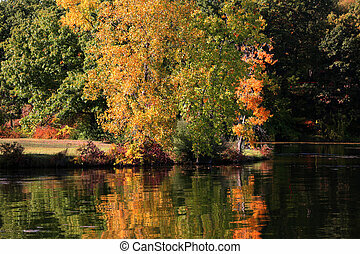 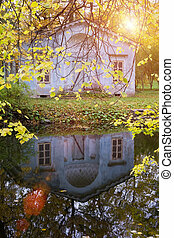 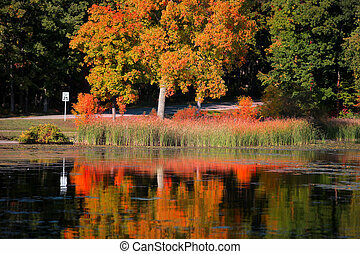 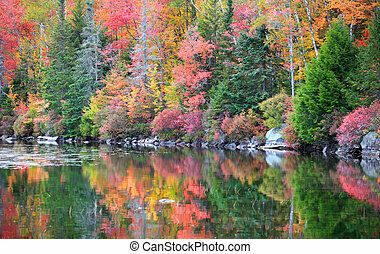 Bright autumn tree reflections in the lake.